Reputed award-winning home builder Metricon has partnered with Australia’s leading solar and battery provider, Bradford Energy to launch homes of the future. Taking innovation to the next level, new Metricon homes will have the option to include the Bradford Solar ChargePack, offering homeowners a solution for energy self-sufficiency and helping them take control of rising energy prices. Every new Designer by Metricon home purchased in New South Wales and Queensland will have the option to include Bradford Solar ChargePack, which comes equipped with the innovative Tesla Powerwall 2 home battery. The 5.4kW Bradford Solar ChargePack will save households up to $30,000 on energy over a ten-year period, and reduce carbon emissions by an average of over 6,000kg annually. For instance, a family of four members living in a Designer by Metricon home can reduce their average electricity bill by $2,100 in the first year. Excess solar energy generated will be stored in the Tesla Powerwall 2 battery instead of being fed into the grid. The Tesla Powerwall 2 home battery is charged with energy from solar panels, which is then used to power the household. The ChargePack technology is the next step in a comprehensive approach to green, affordable all-electric solar power, delivering further cost savings to homeowners. 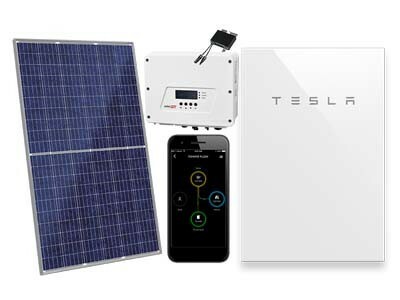 Metricon General Manager, Jason Biasin said the uptake of the Bradford Solar ChargePack with Tesla Powerwall 2 by Metricon homebuyers indicates that customers are concerned about rising energy prices and want to know their options. The optional upgrade has so far exceeded all expectations with hundreds of customers choosing to build with the Bradford Solar ChargePack, says Biasin. According to Biasin, the solar upgrade not only places new homeowners ahead of the property game when it comes to energy cost savings, but also adds value to their home with increasing market demand for energy self-sufficient homes. Biasin notes that a recent report from the Australian Competition & Consumer Commission reveals Australian power bills have risen 63 per cent in less than a decade. As Australia’s number one new home builder, with a record of introducing cutting-edge home designs, Metricon aims to be part of the solution, he added. Customers of household solar and battery systems are not only seeking to take control of their power prices but are also looking to the future energy and technology needs of their homes, says Bradford Energy Business Manager Ashleigh O’Brien. Preparing Australian homes for increased electricity usage is just another benefit of installing solar and battery technology. Recent findings from the Climate Council show three-quarters of Australians believe household batteries will become commonplace in the next decade. Ms O’Brien adds that Bradford Energy is working with Metricon to meet these expectations. New Metricon homebuyers choosing the optional upgrade including the Bradford Solar ChargePack also stand to win a Tesla Model S electric vehicle worth up to $130,000. Bradford Energy has collaborated with Tesla Energy to bring the world-leading Tesla Powerwall battery technology into Australian homes, transforming the way Australians are consuming and storing energy.